Siân Glírdan is the fusion persona of the elven roleplay character, Janowyn, High Bard of the River Kingdom and her ‘real world’ creator, author, Jan Hawke. Glírdan is the elven word for ‘songsmith’, and Sîan is a Welsh variant of Jan (in case you were wondering!). When it became obvious to Jan that Jano had a far better handle than she could ever have on writing in the fantasy genres, Sîan was born, fully formed and raring to go. 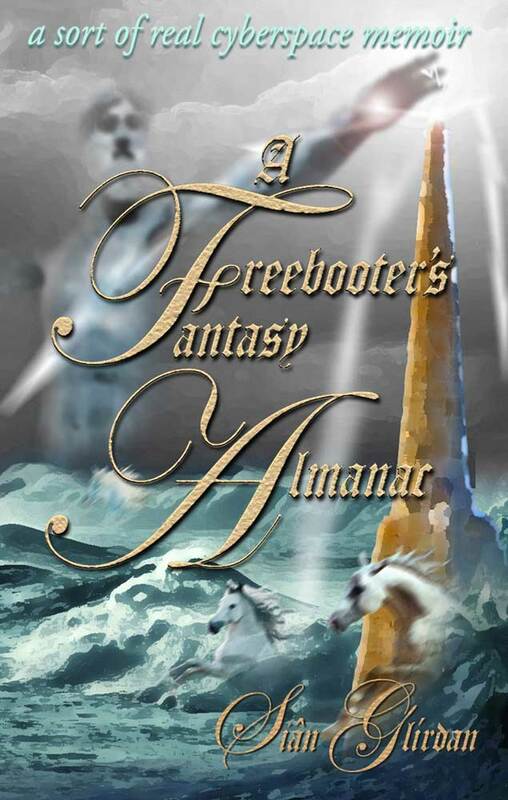 A Freebooter’s Fantasy Almanac, which is basically the manual on how Jano was brought into being and developed, is Sîan and Jano’s first official collaboration. They’re currently working hard on an epic future fantasy series, loosely based on the ancient Celtic world. The first volume should reach the shelves at the end of 2016. It’s all in the name – and, in the Lord of the Rings Fanatics Plaza ‘Kingdom’ of Rivendell, where my roleplaying alter-ego and elven persona, Janowyn, was created and developed. You see, Jano’s a kind of literary super-ego for me, in that she’s a bard and artist in paint and in song so, when I write fantasy, I’m generally channelling her like mad. However, she’s thoroughly grounded in Middle Earth (if you can’t guess where the ‘owyn’ came from then you’re obviously NOT a Tolkien nut!) and so, for original fiction that goes out into the Real World (such as it is…) her name needed a small upgrade. Most people know of Tolkien’s official career as a philologist and Oxford Professor of Anglo-Saxon. Maybe not so well-known are his sources for creating the lingua franca of the Elves of Middle Earth, namely Sindarin (not Quenya – that rightfully belongs in Valinor). One of the main influences for Sindarin comes from the Welsh (P-Celtic or Brythonic), which Tolkien described as ‘the Queen of Celtic Languages’. Glírdan is a literal translation into Sindarin for a songsmith, or bard – glir = song and dan = smith. So, Sîan Glírdan is a more prosaic rendering of Janowyn the Bard, while still sounding robustly romantic and Gaelic! A fitting pseudonym for a writer of fantasy, especially in the spirit of fantasy freebooting which is my term for post-modernist ‘cyber-pirating’ of classic fantasy memes. Really interesting ‘About’ Sian > How’s your Welsh btw?